Established in 1990 with an agreement between the San Juan Unified School District and the US Air Force. This program’s curriculum includes aerospace science, leadership and physical training along with organizational skills and academic instructions. This cadet group is a military type organization and completely managed and operated by the cadets. The cadets are very busy. In addition to their academic studies, the cadets have 4 drill teams; Armed Team, Unarmed Team, Saber Team, and Color Guard. They also compete in many sports teams that include softball, basketball, volleyball, bowling, and chess.. They compete in the College Options Foundation Academic Challenge, have a Remote Control Airplane Flying Club, Fitness Club, Tutoring Team and many more. They assist their classmates and fellow school students and are very active in community events. 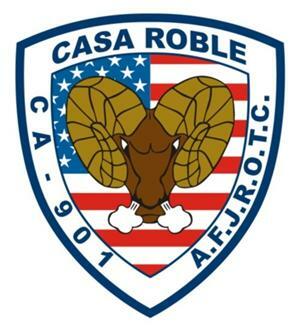 Cadets volunteer to work with area veteran organizations in Orangevale and Folsom. They are closely linked to the VFW in Folsom and the other 8 military organizations there. They are do activities to raise funds for their program and give back to the organization and school. We Build Better Citizens for America!